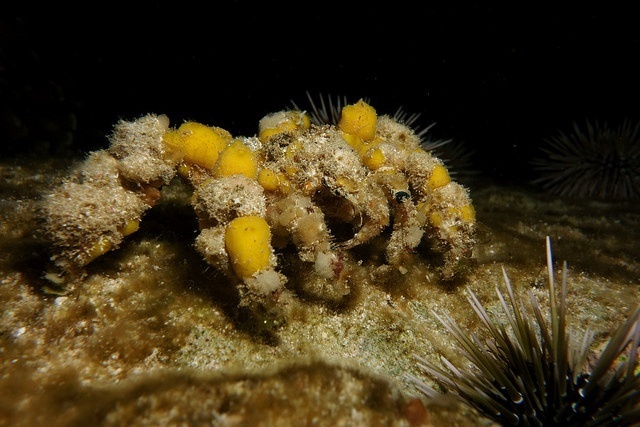 The spider decorator crab Camposcia retusa adorns its legs and carapace exuberantly with sponges, probably to mislead predators, Rohan Brooker and colleagues write. The crab accumulates more decorations when it has no access to shelter. Equipped with a lot of sponges, complemented by some algae and dead organic matter, the spider decorator crab Camposcia retusa moves around: a weird appearance. The crab is associated with tropical coral reefs in the Indian Ocean and the western Pacific Ocean. Why would this little animal, with a carapace that is a few centimetres wide, carry so much stuff that probably hampers its mobility? According to Rohan Brooker and colleagues, a highly decorated crab is less visible to its predators. In addition, many sponges are noxious or toxic, and they may deter predators that perceive such a crab in spite of its camouflage. The researchers wanted to learn more about the crab’s decorating behaviour. From reefs, they caught a number of crabs to study their decoration patterns. They then conducted a manipulative behavioural experiment on crabs in tanks to which they added red polyester pompoms of different sizes to see how the crabs would use them. 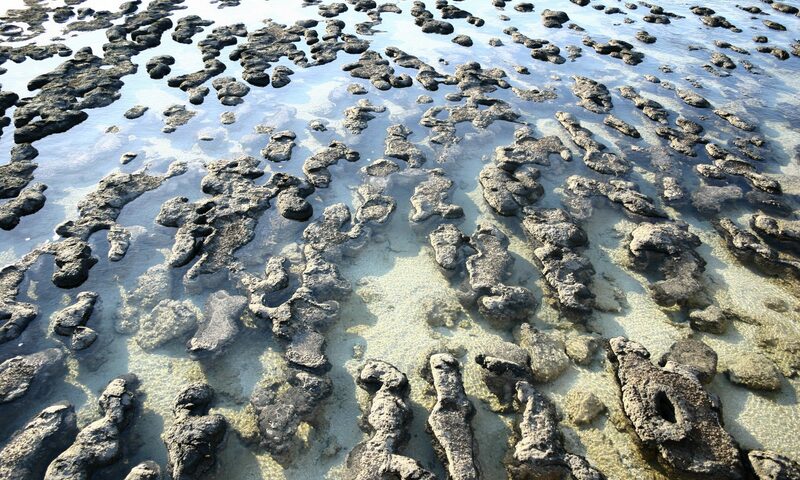 They found that the animals covered their carapace and the third and fourth sets of walking legs most (they have four pairs of walking legs). In the experiments, they placed the largest and heaviest pompoms only on the hind legs, which are the strongest. The chelipeds – which the crabs use for feeding and communication – and the first set of legs were hardly decorated. The parts of the body on which items are distributed are equipped with hooked seta like those of Velcro, to which pieces of sponge and other material are easily attached. In another experiment, the crabs either got a shelter in the form of a PVC elbow in their tank or no shelter. The crabs that had no access to shelter decorated more than the crabs that had shelter, hence the conclusion that the decoration is primarily an antipredator defence. Because the animals accumulate and retain a wide range of materials, camouflage most likely is the main effect of decoration. And because they prefer to attach sponges, it may also serve as a deterrent. It would be great if the researchers now would go on to show that predators have more difficulty perceiving a prey in camouflage suit, or that they are deterred by the sponges. Decoration occurs in many animal species, most frequently in aquatic species. The spider decorator crab Camposcia retusa is a beautiful example of this behaviour.